World-renowned gas measurement and control experts Chell Instruments have launched the latest addition to their range of nanoDaq pressure scanners. 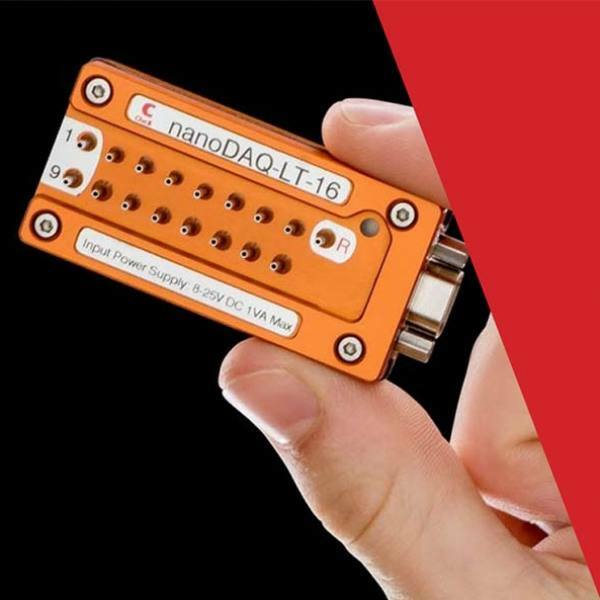 In 2017, Chell introduced the nanoDaq-LT, a lower-cost version of their popular MicroDaq, which has been used extensively in on-vehicle and wind tunnel applications, including Formula One. Its now been joined by three new smaller models, entitled the LTS, LTR and LTM. The existing pocket-sized nanoDaq-LT weighs just 37g and measures 59.5mm x 27mm x 12.5. However, it’s now been joined by three even more compact and rugged sister devices, suitable for a wide range of applications. The nanoDaq-LTS has a hard-wearing design, making it ideal for use in harsh environments. Its port outlets have been reconfigured allowing measurements to be made more conveniently in tight spaces. The new nanoDaq-LTM and nanoDaq-LTD are motor sport specific models, providing the option of port plate connections rather than tubulations, making them ideal for automotive applications. North Walsham-based Chell Instruments have been providing pressure, vacuum and gas flow measurement equipment for over 40 years. They design, manufacture and calibrate testing apparatus used in areas including Formula One, aircraft design and pharmaceuticals.